With over 30 years of trailer manufacturing experience J.T. C. Sales creates a product that can withstand the toughest of environments from oil fields to frozen highways. Our low maintenance trailers will get the job done every time. Our trailers are not mass-produced. They are individually crafted to ensure only the best quality and workmanship for our customers. Each of our reel trailers are built with rugged dependability. 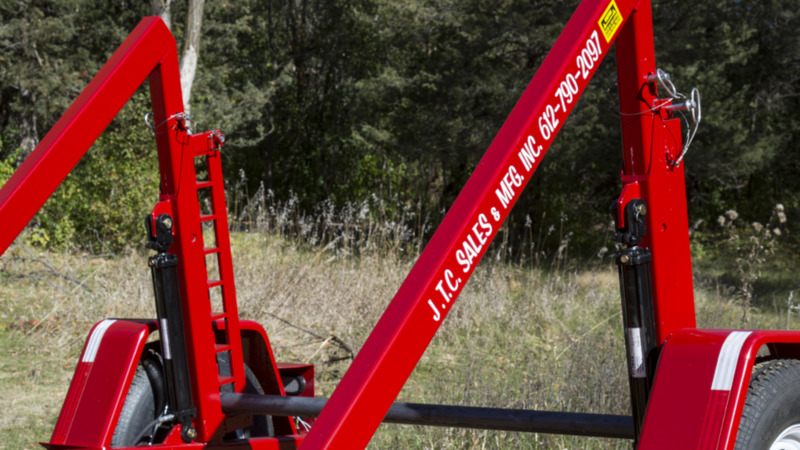 Heavy gauge steel is welded into a single rugged unit, then primed and painted safety red. Our trailers will far exceed the date of ROI maturity a testament to our products durability. We manufacture the highest quality cable reel trailers for utility contractors, power utility companies, and cable installers. If you don't find the reel trailer you need here contact us about custom orders.